T4C is the number one boat dock builder in San Angelo and the surrounding area. 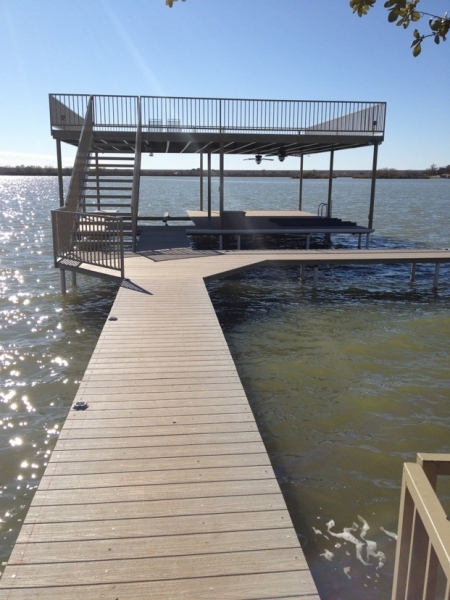 Our boat docks are built with 26-gauge metal roofs and synthetic decking. 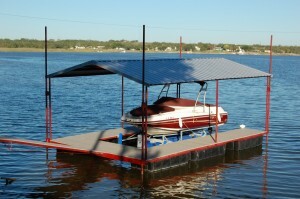 We also offer an under deck lift kit which keeps your cables out of your way. 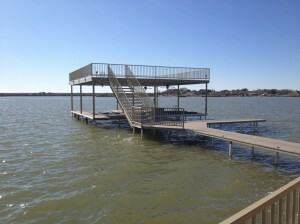 The entire structure of each boat dock is constructed out of metal to last a lifetime. 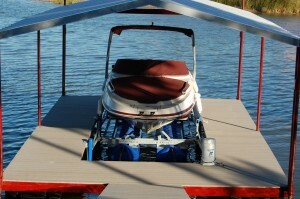 Every boat cradle is custom built to fit your boat. We offer accessories and upgrades including ladders, remote switches, auto stop, bumpers, guides, lighting, sound, security, cable railing, retaining walls, swings, multiple stories, and more!